I wanted to let you all know about a great new tiny house resource site I’ve become aware of recently. TinyHouseForum.com is a new community-based forum with the goal of providing the web’s first on-line forum connecting people currently involved in the tiny house community as well as those who are just starting to explore the tiny house lifestyle. 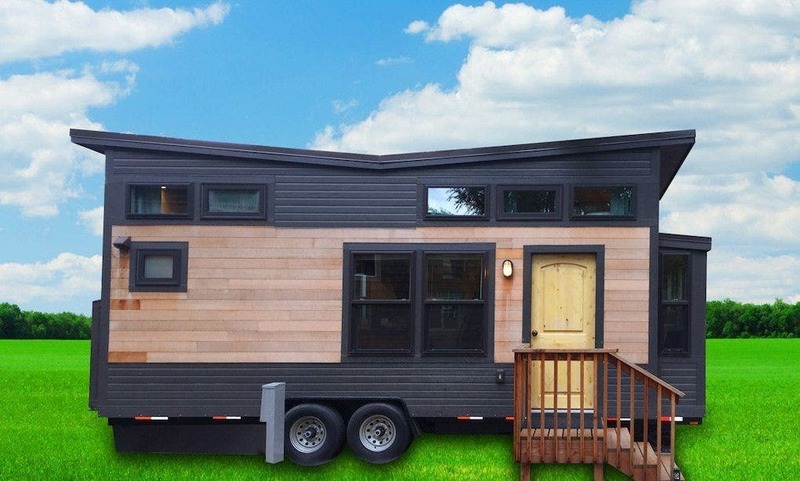 They’ve pledge to build and maintain an on-line community expressly for the purpose of exchanging information, ideas and resources related to the tiny house movement. Tiny House Forum membership will consist of individuals, companies and organizations with an interest in learning new information, sharing existing knowledge and connecting with one another through meaningful and stimulating on-line discussions. I’ve personally spoken to the founder, Chuck Campfield, quite extensively and he has big plans for the site. His vision is for the forum to serve as the web’s premier location where people are able to participate in a community dedicated to all things tiny house related. Like many highly successful ventures, Tiny House Forum was built out of necessity. When Chuck and his wife began researching the tiny house movement over a year ago, they found there was no one single location on the web where they could go to start discussions or to have their questions answered by others involved in the tiny house movement. The information they were able to find on-line was highly fragmented, disorganized and spanned over hundreds of different sites. There was no one single interactive site that could be considered an authority site offering tiny house related information to its users. Having run dozens of successful websites over the past 15 years Chuck decided to use his expertise to create a tiny house site dedicated to solving all the issues related to the difficulty he and his wife ran into while researching the tiny house lifestyle. And so, TinyHouseForum.com was born! The forum is brand new so be sure to head on over and register your preferred username before it’s taken. As Chuck pointed out to me, he’s built the site, now in order for it to be a success for the tiny house community he needs your participation on the forum. So even though there may not currently be a lot of activity, don’t be shy, go ahead and start a new topic or respond to someone who already has. As an incentive to register to the forum, for a limited time he’s offering a free 10-page downloadable eBook titled “7 Benefits of Tiny House Living”. The eBook is a great source of information for anyone interested in going tiny and since you’ll be a registered user, you’ll also have full and immediate access to the forum absolutely free. Visit TinyHouseForum.com now to get your free eBook and join in the discussion on the forum! P.S. If you see me on-line at TinyHouseForum.com (KentGriswold) please don’t hesitate to say hello.